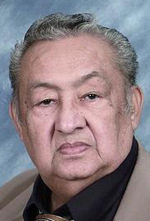 Permanent Deacon Jose A. Fontanez, 81, retired and a member of the Cathedral Basilica of SS. Peter and Paul Parish, died Dec. 10. Born in Caguas, Puerto Rico, he was a skilled carpenter and cabinet maker by trade, working for Girard Bank for much of his career. He and his wife, Edna Olmedo, married in 1953 and they have three adult children, Ronald, Jose and Edna. He was a member of the first class to complete studies for the permanent diaconate when the program was introduced in the Archdiocese of Philadelphia. It was composed entirely of Hispanic men, and they were ordained Oct. 31, 1981 by Cardinal John Krol at the Cathedral Basilica of SS. Peter and Paul. Deacon Fontanez served for his entire ministry at the former Incarnation of Our Lord Parish until 2008, when failing health and failing eyesight led to his retirement. He and Edna moved to Florida but recently returned to Philadelphia, with residence in the Cathedral Parish. Anna Vega, the former director of the Office for Hispanic Catholics, knew Deacon Fontanez through family connection from her early childhood. Deacon Fontanez’s funeral Mass was celebrated on Dec. 16 at the cathedral by Bishop John J. McIntyre. Father Peter Welsh was a concelebrant and the homilist. The Deacon of the Mass was Deacon Felipe Cruz and Deacon Chaplains were Deacon Epifanio DeJesus and Deacon Jose Hernandez.